New Delhi, Aug 29 : Asked whether he was asked to quit, 69-year-old Duggal said "I have resigned on my own accord". 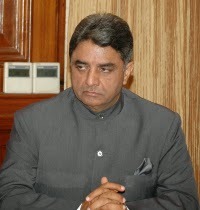 Vinod Kumar Duggal on Thursday night resigned as Manipur Governor becoming the ninth governor appointed by the UPA regime to quit since the NDA Government came to power in May this year. Duggal, who holds additional charge of Mizoram as well, arrived in Delhi and called on President Pranab Mukherjee where he handed over the resignation. “I have submitted my resignation to the President,” Duggal, a former Union Home Secretary, said. Asked whether he was asked to quit, 69-year-old Duggal, who became the Governor of the Northeastern state on December 31 last, said “I have resigned on my own accord”. Duggal, who served as Home Secretary from 2005 to 2007, is the second Governor to have put in his papers this week. Earlier, Sheila Dikshit resigned as Governor of Kerala on August 26. With this, Duggal, as IAS officer of 1968 batch, becomes the ninth Governor to have resigned since the Narendra Modi government came to power on May 26. Five UPA-appointed Governors — M K Narayanan (West Bengal), Ashwani Kumar (Nagaland), B L Joshi (UP), B V Wanchoo (Goa) and Shekhar Dutt (Chhattisgarh), have already resigned after being nudged by the NDA government. V Purushothaman, the Governor of Mizoram, had resigned after he was transferred to Nagaland in July this year while Maharashtra Governor K Sankaranarayanan tendered his resignation on August 24 after he was shifted to Mizoram. After the new Government assumed office, two Governors including 87-year-old Kamla Beniwal, who had a running battle with Modi when he was Gujarat Chief Minister when she was governor of the western state, were sacked. Lt Governor of Puducherry Virendra Kataria, a former Congress leader, was also sacked. Uttarakhand Governor Aziz Qureshi has challenged Centre’s moves to ease him out of office, bringing the controversy over removal of UPA-appointed Governors under judicial lens.